Though tokusatsu is often thought of as purely live-action, there are times the genre crosses into the realm of anime. 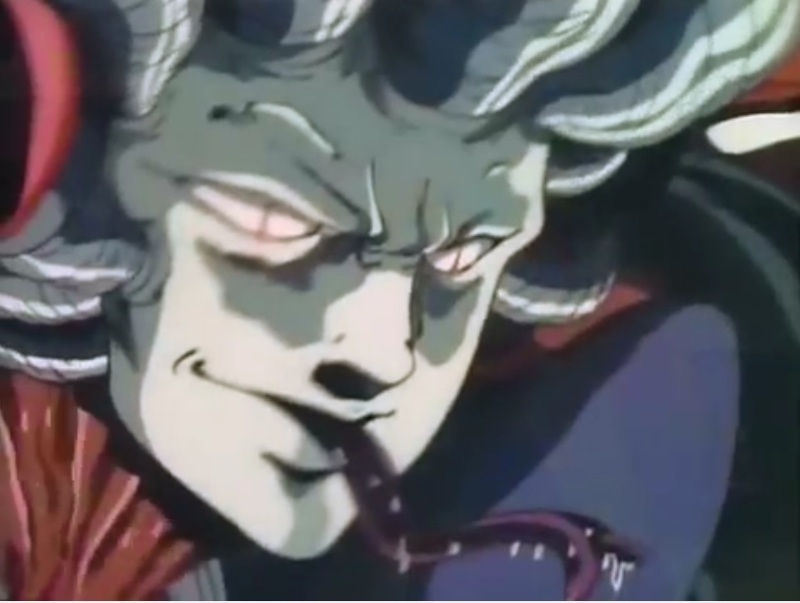 The Tokusatsu Network highlights one with the 1987 OVA Gakuen Tokusō Hikaruon, a love letter to the Space Sherriff saga. Hikaruon is one of the countless anime OVAs that stands the risk of being lost to time. For the most part, they all share similar features–made in the late 80’s or early 90’s, decent animation but nothing special, with a story that has the potential to be a full series but was only greenlit for a single episode. 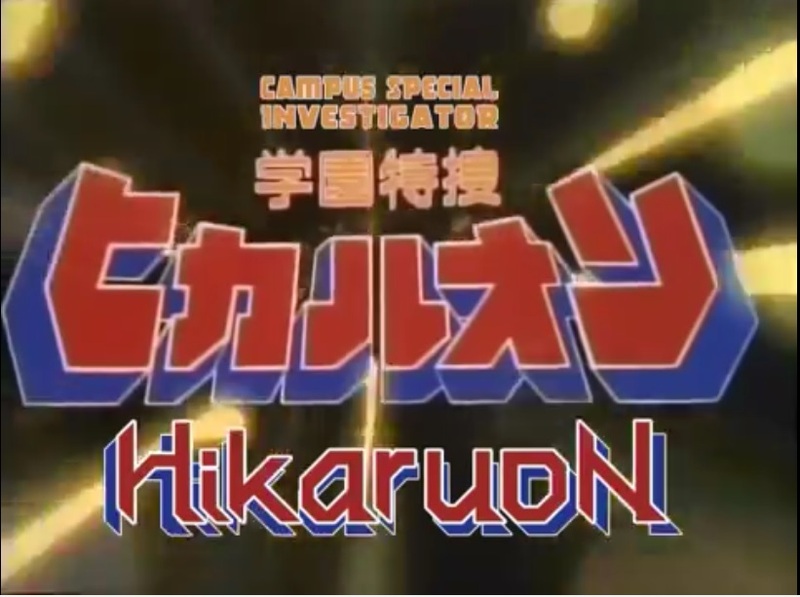 It has a pretty good pedigree, with music by composer Chumei Watanabe (the Space Sheriff series), an opening sung by Akira Kushida (Abaranger), and animation by AIC (Tenchi Muyo, Bubblegum Crisis), but ultimately, it’s Gakuen Tokuso (or Campus Special Investigator) Hikaruon’s connection to tokusatsu that sets it apart from others. Like most anime, Hikaruon‘s story is about high school students. After a student commits suicide by jumping in front of a train, we skip ahead some to meet our intrepid hero–Hikaru Shihōdō. Hikaru’s voice may be familiar to tokusatsu fans as his voice actor is Toshihiko Seki, who is best known for his role as the voice of Momotaros, in Kamen Rider Den-O. He’s a bit of a goofball and kind of a pervert. After being introduced, Hikaru is quickly accosted by another student, Gomi, who at first seems angry at his former classmate being so easily replaced– until you learn he just likes to make trouble and the incident is only this week’s excuse. The class president, Yayoi Shiina goes on to defend Hikaru, the hero, but this is where things get a little weird. 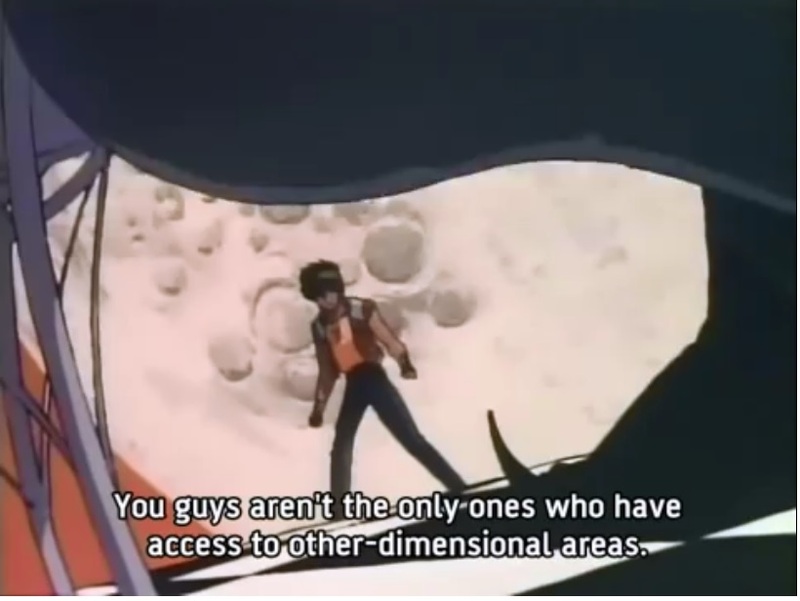 The series takes advantage of its status as an OVA and goes a little overboard with the bullying– as one can see in the image below. After taking far too long to save Shiina, Hikaru walks her home where she explains how Gomi and his gang, the Jakoku-kai, basically run the school. Hikaruon goes fairly in-depth– at least, as in-depth as one can get in 29 minutes– on the subject of societal ills of the 80’s: gang violence, faults of the private school system, and more. But of course, since it’s a tokusatsu show, the vast majority of it isn’t actually the fault of humans being awful, but due to an evil group of monsters trying to corrupt society for their own purposes. The show never quite makes it clear whether they’re aliens or demons. Actually, there’s a lot that’s pretty much left to the imagination. With only a single episode, the audience is left wondering how Hikaru got his powers, never mind who actually gave them to him. His teacher is an ally in his fight against this evil menace, but we never find out how they actually know each other. Worse, she meets a rather uncomfortable fate later in the episode. Strangely though, she appears to be fine at the end, if only because there’s simply too little time to explain exactly how she escapes from her predicament. As for the monster of the week, as it turns out, it’s plot was to force teenagers to kill themselves in order to feed off their life force and remain young. Personally, I thought the tokusatsu genre’s usual “take over the world” plans were strange enough, but Hikaruon took that to the next level. That aside, from the main character’s futuristic armored costume with the nonsensical lights everywhere, to the fight scenes being set in strange, seemingly drug-inspired pixie dreamscapes the hero can inexplicably enter at will–something the series has no problem poking fun at– Hikaruon is set up like a Metal Hero series front to back. When I first watched Hikaruon over four years ago, I was impressed at how well the Henshin Hero style of tokusatsu managed to translate to animation. Outside of a few disturbing moments, it adds a ton of cool scenes that are a natural result of an utter lack of having to worry about a special effects budget. Just having the series’ “alternate dimension” be a gigantic, ruined hellscape of a city basically validates the existence of the show for me. It’s too bad Hikaruon never got a full television series. 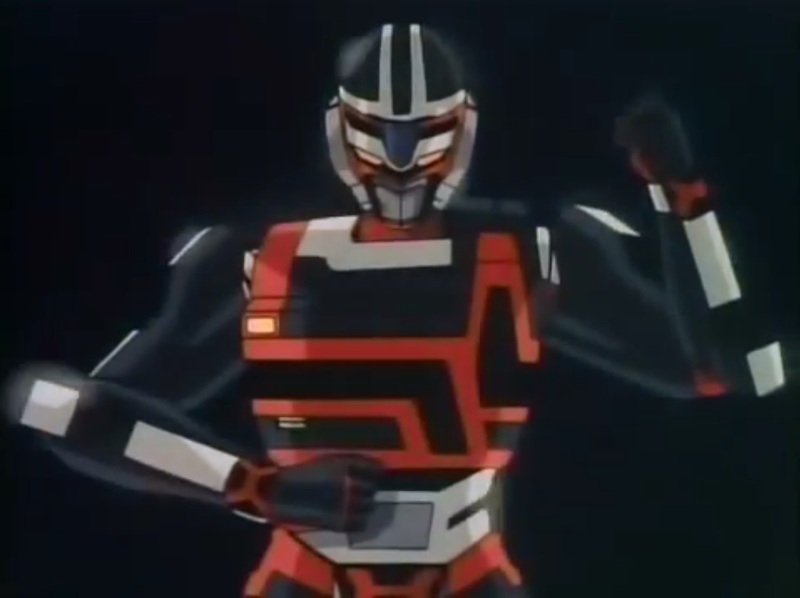 Nevertheless, Hikaruon is a piece of animated toku history that’s definitely worth a watch for any tokusatsu fan, and a must-see for fans of the Space Sheriff saga. All opinions written herein reflect those of the author’s only and do not necessarily reflect the Tokusatsu Network as a whole, its founder, or its other staff members. Any questions or concerns, please contact us on our Contact page. Writer of geek (and geek-adjacent) things. Too many hobbies, not enough free time. Weird you’ll cite Space Sheriff series for Watanabe, but for Akira Kushida you go for…Abaranger? And not, you know, the Space Sheriff series? He sang the OP and ED for both. And as the series is a ‘a love letter to the Space Sherriff saga’ as you said, you’d think it pertinent to mention that it’s the same OP singer.